When Is It Time to End a Contract with a Freelance Client? Nothing lasts forever in this world, including work relationships. The formula for successful collaboration of freelancers and clients lies in the mutual benefits. So, when one of the parties finds themselves in a disadvantageous or unprofitable position, it’s time for a change… or to end a contract. 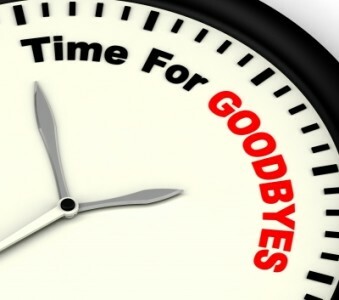 Here are a few examples when it may be time to part ways with a freelance client. We are people, we all have problems. But if a client takes the liberty to take their problems out on you – something’s not right. They no longer treat you as a professional whom they’ve hired for services. If they shout at you, or call you names, or some other inappropriate behavior, caused by their own frustration, it’s time. Even if the client apologizes, they have crossed the line once. For sure they will do it a second time, a third time, and more. Your work relationship is broken. The trust and respect are gone. It’s time to move on. Remember, a solid work principle of a freelancer should be professionalism at all times. It may be time to part ways with a certain freelance client if you cannot reach a consensus – about project costs, your services price, the time table and deadline, the workload requirements, etc. These are all client’s requirements and freelancer’s conditions for finishing the job. Remember though you need to finish your tasks at hand. I am not saying you have to increase your pay rate in the middle of a project and quit without notice if they don’t meet your demands instantly… Here’s more on the topic of negotiating rates with existing freelance clients. The problem comes when despite their lack of competency in your field, the client tries to negotiate with you unachievable deadline, unrealistic quality requirement, etc. – although you explained to them why their expectations are unrealistic. If you are in a situation like this, better part ways. Even if you manage to convince the client to give you more money, more time to complete the task, lower the required quality due to short turn-around time, etc. – most probably the freelance client will feel tricked in the end, because they didn’t get things done as they wanted them done in the first place. If a freelance client starts giving you more work and adding new responsibilities without pay rate upgrade, it’s a red flag. Maybe they got used to having you on the team too much. They know you are a professional; they know you’d do a superb job; they know you’re responsible and won’t rest until you complete the task; so they expect of you just that. They have forgotten that to receive, usually they need to give as well. The freelancer can also take a client for granted. For instance, you are with a client for a really long time. You get regular tasks, often different type of work and there’s no one else on the team to do it. The freelancer can start thinking he or she is indispensable and can do whatever they want. It’s a dangerous place to take a client for granted and think your wish is their command. Either way, it’s most probably best to end the contract with this freelancer or client (depending on which side of the equation you are). No harsh feelings – just time to move on. I think it’s implied but to be on the safe side – I’d say it out loud, too. Whatever issues a freelancer and a client have, ending the contract is never the first and best solution. People with healthy work relationship talk about it first. They always discuss the problem and try finding a solution which satisfies both parties. If that solution requires you as a freelancer to make a compromise with yourself and your principles – then it’s time to end that contract. Over to you – when do YOU end a contract with a freelance client? The problem many freelances have, especially those who’ve just started out, is a limited client base. So they’re often reluctant to end a client relationship that’s no longer working – because they have relatively little other work to fall back on. I’ve been in this situation myself. But what I’ve found is this: if you’re continually active building relationships and marketing your services then work usually comes along to fill that gap pretty quickly. You’re right, Kevin – it is rather hard for newbie freelancers to take a leap and say “no” to clients with whom they are no longer happy. And you are right work always come when we are persistent and proactive. I don;t think i would have said it enough times, ever – being proactive is crucial for success 😀 Thanks for adding to the conversation. Diana, all your points are spot on. This post reminds me of a client I had a couple of years ago. We would discuss the fee and scope of the project and then he would expect twice the work. I tried to work this out with him, but it kept happening. I told him, nicely, that I couldn’t work with him anymore. He was shocked and pestered me for a while to keep him as a client but the mutual respect that is essential to these relationships was broken. Only client I ever fired but it was a big relief. Job well done, Jeannette – it seems you’ve made the right choice and i congratulate you for a touch decision. I too have fired only 2 clients (for now :D) and with 1 other i have been on trial but we didn’t work well so we didn’t move forward with a more permanent contract. It’s tough but necessary if we want to keep the balance in our lives. I once had a client who pretty much ticked every last one of these boxes and still I felt guilty about terminating our relationship (and took way too long to do so). It was fairly early in my writing career, and I still felt as though every and any job was so precious that I should put up with anything just to keep it. It was a good lesson to learn though, as I have been scrupulous about getting the terms and scope of work in writing at the beginning of a job ever since. Funny you should say this, Claire – It is the exact same situation i was in when i terminated a contract with a client for the first time. And i too am super picky about my clients and the projects i take on since then. I guess there are patterns and footsteps all of us, freelancers, walk in sooner or later. I’m not a freelancer, per say, but I do various services for people. Many times when a situation arises where I feel the client takes me for granted or has unrealistic expectations, I end up finally putting my foot down and letting them know the boundaries and how I can only do so much for so much. This usually resolves the problem. Most people would rather me keep doing work for them even if it might cost them more than they’d like, since they are demanding more, it should be expected that the cost would rise as well. The only time I have parted ways with clients is when they are done with my services, or they are so loco I don’t want to waste any more of my time on them. You have to know when it’s time to walk away. If a certain client is the result of all your stress, it’s not worth it to keep working for them. I totally, agree, Lisha – and you make a very good point which i think i never mention in the post – stress. On of the beauties of the freelancer’s life is that you can eliminate work-related stress, literally! So why stress out over a client when you can just fire them. Thanks for this addition! I haven’t had to end a contract yet, but when I do, I imagine it will be a tough call since I have only just started to grow my client list. I think it’s really hard to resign a client. We build our minds around the activity of acquiring them and so most people will generally go to extraordinary lengths to hang on. Not only is hanging on when things go bad not a healthy choice mentally, it can be disastrous from a business perspective. Right, the waste of time AND energy is enormous with such clients – thanks for the reminder, Debra! Thanks for letting me know you agree with me, Susan – indeed, knowing when to exit is paramount of managing one’s reputation. This of course doesn’t mean running away when things get tough 😀 hanks for adding to the conversation!